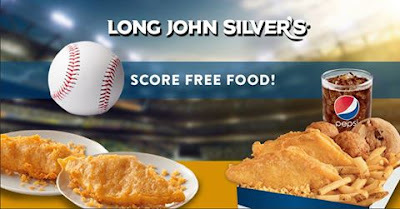 Thanks to David Ross hitting a home run in Game 7, Long John Silver's is giving us all a FREE 1 piece of Fish or Chicken. Go heres to get the offer (Facebook). One coupon per customer, per visit. Cod not included. Sales tax may also be applicable in certain states. Offer expires 11/6/16.